Given the unusually large reader response to my last blog regarding xylitol nasal rinses regarding the "recipe," I thought it easier to write a blog about it!!! To be brief, xylitol is a naturally-occurring plant-based sugar substitute that apparently has all sorts of anti-bacterial as well as anti-fungal properties. Given these properties, daily xylitol gum chewing or xylitol nasal spray use has been shown to help prevent recurrent acute ear infections and sinus infections... safe for use even in infants. When used as part of nasal flushes to the nose, it seems to work even better than traditional saline flushes to the nose (read more about this here). So, I have provided below a few different recipes to make xylitol nasal flushes at home. One may be more comfortable than the other, but it is user dependent. Obviously, convenience will play a role as well. I have already used a homemade mix of salt and baking soda - it was good. Therefore, I am going to use the complex mix as it is the same but with the addition of xylitol. I've just tried it (the complex recipe) and I can't believe that for a nose which was not blocked at all, there is such a lot of mucus releasing. Much more than when I used saline and baking soda without the xylitol. is it safe to pe putting all sorts of stuff up the nose, like grapefruit seed extract etc? These recipes might be too strong for most. The article which showed that xylitol irrigations might be better than regular saline used 12 gms/8 oz water or roughly 3 tsp/8oz of most commercially available xylitol. Usually I have patients add 1/4 tsp each of salt and baking soda. Higher concentrations can help in the short term, but lead to problems in the long term by disrupting the normal mucous in the nose. A half & half mixture would be 1.5 tsp of xylitol with a 1/4 tsp of salt and baking soda in 16 oz of water. I feel really stupid, is it that obvious, I must not be reading something here, I don't see any reference to dosage. do you use the entire solution in one session. That seems like an awful lot to me. If you don't use it all at once what is the proper storage method. what is the shelf life. If you are going to offer advice you should give all the information necessary to use it properly. Mike, you're not stupid at all, there's not enough info here. It's also really important to mention you need to boil the water or use bottled so it's sterile. You don't use it all at once, I use it a few times a day, and just one spray up each nostril is usually enough. It will keep for ages as the salt will preserve it. I just use the water, salt and xylitol. Since using it, I have not had a single sinus infection for about 3 years and I used to have 2-3 infections per year. do you use tap water purified water or distilled water? Just boil your tap water for 5 mins, add the ingredients while hot to help them dissolve more easily and cool to room temperature, you cane chill it down to help reduce swelling too. I apparently got a bad reaction from using xylitol sinus rinse for about 3 weeks to cure a persistent fungal sinus infection: sore throat, earaches, slight cough, chest pain. After realizing that xylitol was the cause of these problems, I quit using it 1-1/2 weeks ago. However, I still have the sore throat and other problems. Any idea how to get rid of the sore throat, earaches and other problems caused by xylitol? Anonymous, Your "bad reaction" was probably the result of the infection (more likely bacterial and not fungal) that had been residing in your sinuses now being flushed out by the xylitol. I've had congested sinuses for 15 years. It's really entrenched in there and I've tried many rinses, antibiotics, etc. Now I'm using the xylitol, I feel the irritation on the back of my throat as it flushes the mucus out. I find that following up with the xylitol mist during the day helps a lot. I'm putting 3 drops of hydrogen peroxide into each ear twice a day as a precautionary measure, because I've read that any rinse can spread the infection to the ears. The fact that you're symptoms are persisting after the xylitol convinces me even more that you have a lot to flush out and the xylitol has started the process. If you don't want to go back to xylitol, perhaps you can try a saline rinse like Neilmed and hydrogen peroxide gargles and drops in the ears until your sinuses stop flushing. If I were you, though, I'd keep up the xylitol to speed up the process. I have been using Xlear for quite some time now, so was very excited to find this recipe. I made it for the first time several months ago (complex recipe, because it seemed closest to the Xlear ingredients list) and I use it every morning and evening, or more frequently if I think I feel a cold coming on. It is awesome! I haven't had a cold all winter. I'm quite certain that this is part of the reason, along with a grass fed and organic diet, of course. I hope you're right that I didn't have a bad reaction to xylitol as I am starting to use Xlear again. I thought that it had cleared up my sinus infection but it seems to only have killed off the infection in the left side of my sinuses and I have been having pain in the right side. Previously the infection seemed to be concentrated in the left side with little problem in the right side. However, I don't think it's bacterial since I have not had a fever at all. And I'm pretty sure it is fungal since I breathed some dust when I was pulling nails out of our deck to replace them with screws. It was a strange dust like nothing I have seen before and the nails had a bad looking deposit on them. I should have worn a mask to keep from breathing the dust. Yes Anonymous March 11, 2014, it was my goofs, not adequately cleaning my NeilMed squeeze bottle, otherwise I simply spread the fungal sinus infection to other and all my sinuses causing the sinus headaches, earaches, aches in the temple areas, sore throat and coughs. Once I learned that I should use the liquid dishwashing soap and also a bottle brush to clean the squeeze bottle, I carefully cleaned my NeilMed squeeze bottle and my sinus infection cleared up quickly, in two or three days. So I suffered for months, reinfecting my sinuses because I did not adequately clean the squeeze bottle. Perhaps the salt and sodium bicarbonate sinus rinse would have killed off my sinus infection and perhaps the xylitol wasn't necessary, but I'll never know, since my sinus infection is over and gone. I am feeling very dumb and terribly embarrassed that I missed the NeilMed instructions and did not realize that it was necessary to thoroughly clean the squeeze bottle. I'm glad I found this site, and maybe some of you can weigh in on your experiences relative to mine. When I was young (pre-20), I had no allergies. I began having seasonal allergies in my 20s and then basically year-round allergies at some point after that. Eventually I got a sinus infection that lasted about 3 months in 2003 and it was basically the worst I've ever felt. I didn't know anything about sinus cleansing at that time and the doctor just gave me various different antibiotics, the last of which (levaquin) worked. He then put me on nasonex and clarinex-d to treat my symptoms. My allergies are pretty much in check, but I have not been able to smell very well for years. If I run or do heavy exercise, I can smell pretty well for a short while, but apart from that, basically I have to really breathe in a lot of air to get the smell of something, and that doesn't always work. Naturally my sense of taste is dulled proportionately. What I want to know is, would rinsing with any of these solutions help this problem? Also, what is the most likely cause of this problem? It is not like my olfactory sense doesn't work; it works, but only if my nasal passages open up or I get a large volume of air through them. I assume rhinitis and/or biofilm gunking up the cilia and olfactory sensors could be the cause of this. Any experience with this problem? Thanks. In writing volume-based recipes, an abbreviation like tbsp. is usually used, to differentiate it from the smaller teaspoon (tsp.). Some authors additionally capitalize the abbreviation Tbsp., while leaving tsp. in lower case, to emphasize that the larger tablespoon, rather than the smaller teaspoon, is wanted. Anonymous you need to read what you said. The recipes are written right. In some countries, a teaspoon full (also "teaspoonful" or simply "teaspoon") is a unit of volume, especially widely used in cooking recipes and pharmaceutic prescriptions. In English it is abbreviated as tsp. or, less often, as t., ts., or tspn. The abbreviation is never capitalized because a capital letter is customarily reserved for the larger tablespoon ("Tbsp. ", "T.", "Tbls. ", or "Tb."). 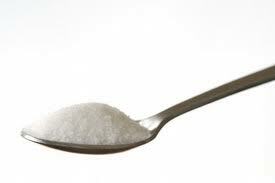 Users of Xylitol should be aware that it needs to handled with care. It is highly toxic to dogs and once they eat even a small amount of it there is nothing the vet can do. Fortunately, our dog ate a very small amount and had vomiting & diarrhea but survived. After I contacted the emergency animal hospital and was told the dog might not survive, I read about Xylitol online and had a stressful 24 hours. Of course there is no mention of any danger on my lozenges for dry mouth. I now keep them in the nightstand drawer instead of on top of it. It is safe as all of the ingredients listed above are anti-microbial and are in low enough doses to not irritate your mucus membranes. I have been using xylitol/saline nasal spray for a couple of years now and my allergy symptoms are much less severe then they were before then. Since you are mixing yourself, you can try different amounts and see how well you like the mix. I personally like it stronger then above. A good way to decide whether it will be too strong for you is to just taste it before you put the mix into your sprayer or netti-pot. I put mine into a sprayer bottle that I wash in soap and water after I empty the bottle. It has an extremely long shelflife as the ingredients are all anti-microbial. If you feel like it has been too long, dump it out and make some more. It is very inexpensive. You should also reduce the recipe to a much lower quantity as a typical nasal sprayer is less than 2 ounces. For me, I just mix to taste without measuring exactly. As long as it isn't too strong for you to tolerate, it will be just fine. If you are planning to use a netti-pot to flush your sinuses, a cup is really not that much. Very good point. The water needs to be boiled prior to mixing the solution. Make sure to let it cool prior to pouring it into a plastic sprayer bottle or a netti-pot. I once melted my pot and had to throw it away. Isn't it great, Kat? You went from paying about $13 a bottle, to probably about $0.13. Wow !!! amazing stuff i just but xlear and works wonders you can feel the difference right away and now i found this recipe, even better thanks to you i will make some good remedy i been searching i even put lime juice in my nasal and hurst like you have no idea i got even got head it that how desperate i was to just get rid of this mucus one time i breath nice one side and all the the sadent clog and the other one clears up the point is that very rarely i have both pasajes clear. It cannot be simply bottled water, it has to be sterile water, hence the boiling. You can use distilled water! Swear by it. Each of my family members has their own saline xylitol rinse bottle. For noses and occas. Throat squirt. We clean well after awhile or if allergies occur. We never get colds. QUESTION: any info on using it for EYE rinse? I have had a slight eyes infection.. Rx antibacterial drops sort of helped but the Steam Rm at my gym helped Much more! A little eucalyptus oil and steam. I cant find Research on xylitol rinse for eyes. -Anyone? Thx! I have no experience with xylitol for the eyes, but I have used Similasan and it worked excellently. I had been suffering with alerting severe itching and equally severe dryness. I used the Redness & Itchy Eye Relief formula and was shocked my how fast it worked. It did not sting at all, but it contains no heavy preservatives, so you only get a 30 day window per bottle and have to purchase more. I only had to use it a couple of days and I was fine. How much suffering can one person take. I'm taking antibiotics for a wisdom tooth infection, ear infection and a sinus infection. I have had allergies all my life and prefer to use natural remedies over medication, but this was a crisis situation. The tooth and ear infection are healed, but I am still dealing with allergies and sinus problems. I'm thankful for medication is crisis situation, but want to work toward long term prevention thank treatment for illness. I asked God to please send me other natural remedies for my sinus other than meds. I don't like the side effects of drugs. Natural remedies help the body to heal itself as well as help other body system. I thank God for this website, as I om on the road to a cure for my recurrent sinus infection. Our bodies were made by God, wonderfully made. This remedy is helping with the congestion and sinus headaches. I'm sure in about a week the infection will be gone. Again, thank you for sharing. I'll keep you post as I progress. If you suffer from sinus problems as I have for many years and have allergies, please pray, give this a try, drink plenty of water and rest. I use #1 recipe. This was good and I'm sure I need a aggressive treatment, but I agree it was strong. My neti pot is sterile and very clean, but I experience some sneezing, burning ,tingling sensation. Getting a lot of clear mucus drainage. Would the rinse still be just as effective if I take out the salt, decrease the salt or just try recipe # 2 or 3. Thanks This is very helpful. You can try a neti pot. Its easier to clean. I clean my pot with dish detergent and then boil it in a large pot for five to ten minutes. Let it air dry with a paper towel lying over the top, store in the purchased box to remain clean until next use. This is God. Please eat a raw vegan or plant-based diet. That will cure your problems. Stop eating highly processed foods, especially meat, dairy and eggs. Eat a cholesterol free diet. I did make human bodies wonderful, but humans still need to eat the diet meant for them. You will feel much better. Bless you. I want to thank Fauquier ENT for posting this recipe. I have been on antibiotics for a month now along with prednisone and nothing was working. After just the first day with this rinse and putting gse in my nostrils, I have found relief! THANK YOU FOR CARING AND POSTING! Yeah, that's what brought me here. I love Xlear but it's just way overpiced. For the cost of 2 bottles of Xlear I bough enough ingredients to make enough to last me for a year or two.